Salvation And Survival: Oh, The Glorious Richness Of The Word! Oh, The Glorious Richness Of The Word! When it comes to "fullness", that term refers to completeness, thoroughness, all-inclusiveness. And Colossians 2:9-10 says, For He (Christ) is the complete fullness of deity living in human form. And our own completeness is now found in Him. We are completely filled with God as Christ’s fullness overflows within us. 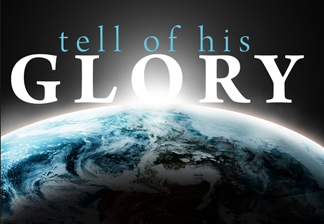 He is the Head of every kingdom and authority in the universe! 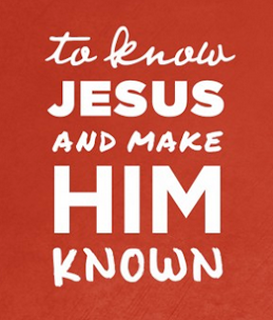 We have been made complete in our stature as spiritual beings when we overflow with the knowledge of who Christ is. And as I contemplate what "knowing" Christ means and involves, I am cognizant that seeking to know Him more has become a battleground within the Body of Christ. Because I have a hunger to know Jesus as much as I am spiritually able, there are those of my fellow believers who caution against being deceived by false teachings. It's almost an indictment of my faith if I am not content to be dependent on traditional doctrine, but rather have a heartfelt desire to seek more revelation than the institutional understanding that has come down through the centuries in the Church. But when I read what Paul expresses to the body of believers in Ephesus, I am convicted that my hunger is Spirit-led. In Ephesians 1:17-21, Paul writes, I pray that the Father of glory, the God of our Lord Jesus Christ, would impart to you the riches of the Spirit of wisdom and the Spirit of revelation to know Him through your deepening intimacy with him. 18 I pray that the light of God will illuminate the eyes of your imagination, flooding you with light, until you experience the full revelation of the hope of His calling—that is, the wealth of God’s glorious inheritances that He finds in us, His holy ones! 19 I pray that you will continually experience the immeasurable greatness of God’s power made available to you through faith. Then your lives will be an advertisement of this immense power as it works through you! This is the mighty power 20 that was released when God raised Christ from the dead and exalted Him to the place of highest honor and supreme authority in the heavenly realm! 21 And now He is exalted as first above every ruler, authority, government, and realm of power in existence! He is gloriously enthroned over every name that is ever praised, not only in this age, but in the age that is coming! It is clear to me that Paul is hopeful that the body of believers will receive wisdom and revelation from the Holy Spirit in order to know Jesus through a deepening relationship that is growing in intimacy. In fact, in the Aramaic "revelation" means "discovery". We are to be active in seeking and discovering knowledge of the Lord we serve! Furthermore, Paul prays that the light of God will illuminate our imagination, which in Aramaic, was understood to be the innermost heart of a person. His prayer is that we will receive a full revelation [or discovery] of all the hope that is in God's calling on your life. So why is the Church so afraid of a desire to be in a more intimate relationship with Jesus; to know Him more? All I ever hear is a fear of being deceived, which usually comes attached with a stigma of being a false teacher if you try to share what the Holy Spirit imparts to you through His wisdom and revelation. I will refer back to my husband's favorite verse: God conceals the revelation of His Word in the hiding place of His Glory. But the honor of kings is revealed by how they thoroughly search out the deeper meaning of all that God says (Proverbs 25:2). And remember, we have all been made kings and priests because of God's grace and Christ's redeeming blood. Therefore, we are called to serve the Lord in the Kingdom of God, which Jesus instituted when He was incarnate. We all have a particular calling. Paul tells us in Ephesians 4:10-13 that Jesus ascended above the heights of the first and second heavens, to sit enthroned in the third heaven in order to begin the restoration and fulfillment of all things. 11 And He has appointed some with grace to be apostles, and some with grace to be prophets, and some with grace to be evangelists, and some with grace to be pastors, and some with grace to be teachers. 12 And their calling is to nurture and prepare all the holy believers to do their own works of ministry, and as they do this they will enlarge and build up the body of Christ. 13 These grace ministries will function until we all attain oneness in the faith, until we all experience the fullness of what it means to know the Son of God, and finally we become one perfect man with the full dimensions of spiritual maturity and fully developed in the abundance of Christ. When we are obedient to our callings, we have what Paul calls "grace ministries", and we are to be occupied with "nurturing and preparing all the holy believers to do their own works of ministry, enlarging and building up the body of Christ". And notice what else Paul says: these grace ministries will exist and function until we ALL experience "the fullness of what it means to know the Son of God!" In the Greek, that means until we have the full knowledge of Jesus. So, the pursuit of knowing more of Jesus, and the teaching or sharing of the revelations about Him from the Holy Spirit, are important to establishing a strong foundation within the body of Christ. God, the Father, wants everyone to be filled with the complete knowledge of His Son, in turn becoming the complete image of His Nature to all we come in contact with. We are to live new lives empowered with the fullness of Jesus in us -- As Galatians 2:20 says, And now the essence of this new life is no longer mine, for the Anointed One lives his life through me—we live in union as one! And that brings me back to my post of several days ago, titled "Does Jesus Know You?" There were disciples who were going around doing the work He asks us to do... prophesying, casting out demons, healing the sick, or as they said, "doing many miracles"; and they did it all in His Name. But what does Jesus say? ‘Go away from me, you lawless rebels! I’ve never been joined to you!’ In other words, they were not living in union with Him that a new life [in Him] would reveal. They had His power and authority to do the miracles, but it was not from a heart joined to His. Can you see how this all ties together? And can you see that seeking to know more about Jesus and to receive wisdom and revelation from the Holy Spirit is not a bad thing? And how can I be deceived if I know --- TRULY KNOW --- my Lord through the Holy Spirit? And if one thinks I'm being deceived, there is another Scripture that comes into play... Look at the obvious fruit of their lives and ministries, and then you’ll know whether they are true or false.” (Matthew 7:20). In the end, we all must make a decision whether our heart hungers to know more about Jesus than what our traditions have taught us, and whether we trust the Holy Spirit in us to reveal Him to us. And that trust will make us bold witnesses and unafraid of condemnation and skepticism. I don't know about you, but I want to live in union with my Lord and be joined Spirit-to-spirit with Him! Ephesians 3:19 "... to know the love of Christ that surpasses knowledge, that you may be filled with all the fullness of God".